.Marvell Hair Academy in Swindon offers 5* training for hairdressers in our own private academy. In our VTCT approved academy we run a variety of hairdressing training courses, including the industry recognised NVQ level 2 & 3 hairdressing, short relaxed courses for non-hairdressers, refresher courses, awards, certificates and diplomas in hairdressing. We are now pleased to be able to offer NVQ level 2 & 3 hairdressing evening courses and NVQ level 3 Award in Creative Hair Extension Services. New intake of NVQ level 2 & 3 Hairdressing candidates. We can teach you the skills to be a great hairdresser in our purpose built academy. We are a training provider offering the NVQ Hairdressing qualification in the Swindon and surrounding area. Our next intake of candidates is 29th April 2019. Courses now include the new NVQ standards, including cutting mens hair as an optional unit.The NVQ is an industry recognised qualification and all assessments must be completed on paying clients. Contact us now to have an informal chat, look around our academy and meet our current learners. Both require a non refundable deposit of £200 to secure your place. Balance can be paid in affordable monthly payments. Contact Yvonne through this website or directly at the Academy for further details and information. Click below for an expanded view of the qualifications we offer. This unit is about developing your creative hairdressing skills in a way that enhances your own professional profile. The ability to research, plan and create a range of images in conjunction with others is required in this unit. Evaluation of the results and how the design image may be adapted for commercial use also forms an important part of this unit. This standard is about combining, adapting and personalising a range of colouring and lightening techniques to achieve a variety of fashion effects. The use of weaving and colouring techniques based on slicing and block colouring is required, as is the ability to carry out a full head and regrowth application of lightener. The ability to restore depth and tone of colour, neutralise colour tone and to colour resistant hair is also required. This is an 11 week course, 10 hours per week, including self study and assessments. Through this unit you will learn how to develop your cutting skills to an advanced level to enable you to create a personalised and individual restyled look to enhance personal image. To carry out this standard, you will need to maintain a high level of health, safety and hygience throughout your work. You will also need to maintain a professional personal appearance and demonstrate effective communication skills. This is an 8 week course, 10 hours per week, including self study and assessments. Through this unit you will learn about a variety of conventional and non-conventional dressing techniques to produce innovative, fashionable, creative and personalised looks to compliment individual clients. You will learn the ability to combine and adapt a variety of styling techniques to produce the finished effect. The use of added hair and accessories into your service will help to complete the effect. Part of this service is to provide your client with good aftercare advice. This standard is about using a variety of conventional and non-conventional styling and dressing techniques to produce innovative, fashionable, creative and personalised looks. The ability to combine and adapt a variety of styling and dressing tehniques incorporating accessories and or added hair is required in this standard. This qualification will provide you with the knowledge, understanding and skills to work competently as an advanced hairdresser. Throughout this qualification you will monitor procedures to safely control work operations, provide hairdressing consultation services, creatively cut hair using a combination of techniques and promote additional services or products to clients. Monitoring the operation of workplace health and safety procedures is the legal responsibility of all senior staff in a salon, not just that of the manager or proprietor. These responsibilities extend beyond salon staff to all people entering the business, e.g. clients, suppliers, contract cleaners, etc. Therefore, in the context of this unit, �? ?other people�?? includes not only other employees, but all those who have a reason to be on salon premises at any time. This unit is about making sure that statutory and workplace instructions are being carried out. - Please note that this unit will be removed as from August 2015 and contextualised health and safety has been placed within each unit. This standard is about providing a comprehensive consultation and advisory service to clients. Client consultation is critical to the success of all technical services ensuring that you fully engage with your client to meet their needs and expectations. Client consultation is the foundation to establishing and building your client relationship and it is important that a variety of communication skills are demonstrated to gather key information. Making suitable recommendations for services and products based on this information and the results of your analysis of their hair, skin and scalp is an essential part of this standard. The ability to provide advice including alternative courses of action, such s referral to other speialists, is also a requirement. This standard is about the advanced skills necessary to determine and correct more complex colouring problems. To achieve this standard, you must be able to remove artificial colour, remove bands of colour, recolour lightened hair, recolour hair that has had artificial colour removed and correct highlights and lowlights. This standard is about using a variety of conventional and non-conventional styling and dressing techniques to produce innovative, fashionable, creative and personalised looks. The ability to combine and adapt a variety of styling and dressing techniqus incorporating accessories and or added hair is required in this standard. This unit is about the monitoring and effective use of salon resources and meeting productivity and development targets to make a positive contribution to the effectiveness of the business. You are also required to ensure that individuals who may assist you to deliver services to clients work effectively too. Cut men's hairstyles - The aim of this unit is to develop the knowledge, understanding and skills of existing women�? ?s hairdressers to enable them to cut men�? ?s hairstyles and work as a unisex hairdresser. This unit will develop your understanding of the differences between ladies and men�? ?s head and face shapes, male pattern baldness and how to incorporate this into men�? ?s hairstyles, male influencing factors and current trends for men�? ?s hairstyles. This qualification gives you the ability to train your apprentices in the salon, only needing to send them elsewhere for exams. Entry into this qualification will require you to have full competence in the vocational subject area that you will be assessing and you will need access to a cohort of learners, so that you can gather evidence of real assessments. This qualification gives you the ability to assess occupational competence in an individual work environment. You would then send your apprentices elsewhere for theory and exams. Marvell & Hair Group are proud to introduce our �? ?Personal Improvement Package�?? (PIP). This is an M&HG Certificate that is tailored to your own personal needs. PIP is a personal refresher course which will concentrate on the main areas of hairdressing. The course can run over several days (total of 18 hours) depending on your requirements, with a total cost of £395. You will need to supply your own basic hairdressing equipment and training head (we can supply the training head) . Upon completion of our PIP you will receive an M&HG certificate and useful hand outs for future reference. A brief course interview will be required to discuss your Hairdressing training needs, this will then enable us to put together your own �??PIP�?? This is a 1-1 course aimed at existing hairdressers who would like to update their hairdressing skills. At level 3 this could include creative colouring techniques, colour correction and creative hair up. The aim of this unit is to develop your knowledge, understanding and skills required to provide a full and partial hair extension service to clients to reflect current trends. It includes preparing, creatively selecting, blending and placing hair extensions to add length, colour and/or volume to the client's hair. Cutting the new extensions for creatively styling and finishing is required, as is the maintenance and removal of extensions. Candidate must have a minimum Level 2 qualification in hairdressing to complete this course. This is a 7 week course, 10 GLH per week including self study. Half price NVQ Level 3 Hair Extension course £325. Did you not quite finish your old hairdressing qualification? Do you feel confident enough to fast track through the course? If the answer is yes to the above then you might be interested to know that we now offer fast track NVQ Hairdressing courses. This is a weekly course over 10/12 months. You will recap each unit and also complete the gents cutting unit at level 2 and the hair extension unit if completing level 3. Once deposit is paid the balance can be spread over 10 or 12 monthly payments. Through this unit you will learn the skill of shampooing, conditioning and treating the hair and scalp using a variety of products and massage techniques. Being able to identify the condition of your client�? ?s hair, skin and scalp will determine which products and massage techniques to use. You will develop a sound knowledge of shampooing and conditioning products which will enable you to provide your client with good aftercare advice. This unit is suitable for both hairdressers and barbers. This standard is about changing hair colour using semi-permanent, quasi-permanent, permanent and lightening products. This standard covers the ability to colour a full head, regrowth and the creation of highlight and lowlight effects. The ability to take into account a variety of factors and any contraindications is required. This is a 13 week course, 10 hours per week, including home study and assessments. There is an external paper for this unit. This standard is about creating a variety of basic looks using club cutting, freehand, texturising and scissor over comb techniques. You are required to use these techniques to produce uniform layers, short and long graduations and one length cuts. This is a 10 week course, 10 hours per week, including home study and assessments. Through this unit you will learn how to develop your perm winding techniques to provide basic perming and neutralising services for your clients. Using these techniques you will demonstrate the three main sectioning winds which are directional, brick and basic section. Being able to identify the condition of your client�? ?s hair, skin and scalp will determine which products and technique to use. Part of this service is to provide your client with good aftercare advice. This unit is suitable for both hairdressers and barbers. This is a 10 week course, 10 hours per week, including self study and assessments. Through this unit you will develop plaiting and twisting techniques that will enable you to create a variety of different looks for your clients. Using these techniques you will produce intricate cornrows and twists or a full head French plait completed with a fishtail. Part of this service is to provide your client with good aftercare advice. Through this unit you will develop the skill of setting and dressing techniques on a variety of hair types and lengths. Being able to identify the capability of your clients hair will allow you to choose from a range of products, tools and equipment to complete the look. You will need to demonstrate the ability to use heated styling equipment to finish the service. Part of this service is to provide your client with good aftercare advice. This is a 7 week course, 10 hours per week, including home study and assessments. This is a 7 week course, 10 hours per week, including self study and assessments. This unit is about providing you with the knowledge, understanding and skills to be responsible for health and safety in the workplace. This unit is for everyone at work (whether paid, unpaid, full or part-time). It is about being aware of the main risks in your workplace and knowing how to identify and deal with them. - This unit will be removed from August 2015 and contextualised helath and safety has been placed within each unit. Through this unit you will learn the skill of shampooing, conditioning and treating the hair and scalp using a variety of products and massage techniques. Being able to identify the condition of your client�? ?s hair, skin and scalp will determine which products and massage techniques to use. You will develop a sound knowledge of shampooing and conditioning products which will enable you to provide your client with good aftercare advice. This unit is suitable for both hairdressers and barbers. Through this unit you will learn how to change hair colour using semi-permanent, quasi-permanent, permanent and lightening products. The use of a variety of colouring techniques such as full head, re-growth and highlighting and/or low-lighting effects provide the basis for all hair services at level 2. You must develop the ability to take into account a variety of factors and contra-indications that your client may present with. Through this unit you will learn how to create a variety of basic looks using club cutting, freehand and scissor-over-comb techniques. Using these cutting techniques you will demonstrate that you can produce one length hair cuts for both above and below shoulder length, uniform layers and short and long graduation haircuts. You must also demonstrate that you can work on both curly and straight hair. Part of this service is to provide your client with good aftercare advice. Through this unit you will learn how to develop your perm winding techniques to provide basic perming and neutralising services for your clients. Using these techniques you will demonstrate the three main sectioning winds which are directional, brick and �??9�?? section. Being able to identify the condition of your client�? ?s hair, skin and scalp will determine which products and technique to use. Part of this service is to provide your client with good aftercare advice. This unit is suitable for both hairdressers and barbers. This unit is about taking responsibility for improving your performance at work and working well with your colleagues so as to make a positive contribution to the overall effectiveness of your salon. Services or products are continually changing in salons to keep up with client�? ?s expectations. By offering new or improved services and products your salon can increase client satisfaction. Many salons must promote these to be able to survive in a competitive world. It is equally important for salons that are not in competitive environments to encourage their clients to try new services or products. This unit is all about your need to keep pace with new developments and to encourage your clients to take an interest in them. Clients expect more and more services or products to be offered to meet their own growing expectations. They need to be made aware of what is available from your salon to give them a greater choice. Through this unit you will develop plaiting and twisting techniques that will enable you create a variety of different looks for your clients. Using these techniques you will produce intricate cornrows and twists or a full head French plait completed with a fishtail. Part of this service is to provide your client with good aftercare advice. This unit is about the skills required to attach and remove pieces of added human hair to an existing style using pre-prepared and pre-packaged pieces of hair, which are designed to last up to 24 hours (e.g. clip-ons) and from 24 hours to four weeks (e.g. self adhesive pieces). These methods are used to enhance a style by increasing volume and adding colour. The ability to blend added hair into the existing style using basic cutting techniques is required. Part of this service is to provide your client with good aftercare advice. Cut men's hairstyles* - The aim of this unit is to develop the knowledge, understanding and skills of existing women�? ?s hairdressers to enable them to cut men�? ?s hairstyles and work as a unisex hairdresser. ** Choose one of these along side the other units to complete a full Level 2 NVQ diploma. The aim of this unit is to develop the knowledge, understanding and skills to be able to teach existing women's hairdressers how to cut men's hairstyles and enable them to work as a unisex hairdresser. This unit will develop an understanding of the differences between ladies and men's head and face shapes, male pattern baldness and how to incorporate this into men's hairstyles, male influencing factors and current trends for mens's hairstyles. This is a 6 week course, 10 GLH per week, including self study. This is a 1-1 course aimed at existing hairdressers who would like to update their hairdressing skills. At level 2 this could include Hair ups, Blow drying, Basic cutting and Basic colouring techniques. Course start date Thursday 1st August 2019 9.30 -3.30. This is a weekly course over 10 or 12 months. You will recap each unit and also complete the gents cutting unit at level 2 or the hair extension unit at level 3. The introduction to Hairdressing course is the perfect way to teach you how much this profession has to offer. Kit required - training head which can be purchased from the academy on the day. Course requirements - Students must be at least 16 years of age. * Practical session featuring essential skills for cutting and styling the hair. * Full understanding of holding and palming scissors, blow drying and styling the hair after completing a one length cut, long graduated cut and inverted bob. Once booked you cannot cancel your place on the course. If you fail to attend a booked course you will not be entitled to a refund or offered an alternative course. No the fees can be spread over manageable monthly payments. Does the course fit in with work and family commitments? The course is fairly flexible. You attend one whole day per week from 10am until 4pm, or two evenings per week 6pm until 9pm. The rest of the week is flexible, you can attend hours and days to suit you. You are expected to complete theory work at home and some practical to practice the skills learnt in the work shop session each week. Do I need to have an NVQ level 1 before I can join the academy at NVQ level 2? What happens if I don't complete within one year? You can continue your course with us, however additional fees will apply. Would it be possible to gain some salon experience whilst completing the course? Yes our learners are encouraged to shadow one of the stylists for the day. This time can be used to observe real salon services as well as help and assist the stylist. Level 3 students are offered the opportunity to rent a chair in the academy to help build up their clientele and give them experience of owning their own business. This is all under the watchful eye of an assessor. Please don't hesitate to call us or pop in if you have an question about any of our courses! All of our students at the Marvell Hair Academy are given the opportunity to experience working in a real salon. This provides not only the chance to put in to practice the skills our students have learnt at the academy but also the opportunity to establish the social & organisational skills required to be successful in hairdressing as a career. As an NVQ level 3 student you are able to rent a chair in our Academy. This will help you to build up your clientele, teach you how to run your own business, as well as increase your confidence as a senior stylist. All under the watchful eye of an assessor should you need any advice and support. The Marvell Hair Academy are a VTCT approved, Habia endorsed training centre in Swindon. Being closely linked to these industry leading organisations means that The Marvell Hair Academy are able to offer quality hairdressing courses in Swindon, which includes NVQ level 2 and NVQ level 3 in Hairdressing, NVQ level 2 Barbering, NVQ level 3 Award in Creative Hair Extension Services, refresher and short courses, Assessor courses. If you are a mature student who would like to train for your NVQ, in small groups of no more than 10 students, our academy caters for small class sizes, ensuring that optimum learning is achieved. We have two intakes per year April and October and our courses run all year avoiding any long breaks, this enables students to complete their NVQ within a year. Our next intake for private NVQ students is 29th April 2019. Joined by the Great British Barbering Academy, we are happy to be able to offer The andis Fades & Blades Advanced Barbering one day course. This course is priced at £150 for the day. For those who already have barbering experience The andis Fades & Blades course teaches everything you need to know to create some of the most sought-after and fashionable hairstyles and beards in the barbering industry. You will practice foil fading, drop fading and razor fading, before moving on to improving beard knowledge and skill set. This course hosts a maximum of six participants and guarantees contact time with the course educator. Upon completion, you will be rewarded with a certificate. To reserve your place please contact Marvell Academy direct. Joined by Great British Barbering Academy we are happy to present the following one day course The Traditional Barbering course is the most thorough path to becoming a barber. Throughout the day, you will learn about the quintessentially British history of barbering and why it's important to pay tribute to tradition. History lesson over, you will explore all of the crucial barbering skills: tapering, layer-over-comb, scissor-over-comb, clipper-over-comb, necklines and shapes, drying and styling hair, sideburns, partings, disconnecting, texturising and point cutting. This course hosts a maximum of sic participants and guarantees contact time with the course educator. Upon completion, you will be rewarded with a certificate. This one day course is priced at £150 Please contact Marvell Academy direct to book your place. 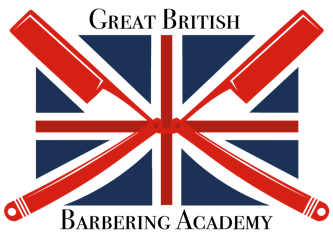 We are excited to be able to partner Great British Barbering Academy to offer the following course. VTCT NVQ level 2 Barbering qualification. Our next start date for this course is 2nd May 2019. The course costs £2500 (PLEASE CONTACT US DIRECT FOR DISCOUNTED PRICES FOR 2019) which can be spread over affordable monthly payments. You are required to complete at least 10 guided learning hours per week to complete the course within a year. The mandatory sessions for this course will be on Thursdays 12pm until 7pm. Theory and practice work can be completed away from the academy and/or flexible hours can be completed within the academy during the rest of the week. - Create basic outlines and detailing in hair. Class sizes are small to ensure an optimum learning experience (maximum number of students 10), a deposit of £200 is required to secure your place. Please contact Marvell Academy in the first instance to secure your place. 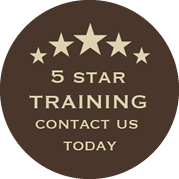 Our aim is to offer 5* training for hairdressers. Our academy offers over 20 years experience within the hairdressing industry which includes teaching in an Ofsted grade one college. All our learners are trained in our academy to an exceptional standard using the latest hairdressing techniques and procedures. 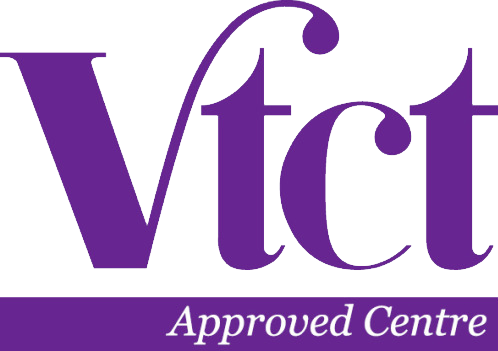 In our VTCT approved academy we run a variety of hairdressing training courses, including NVQ level 2 & 3 hairdressing, NVQ level 3 Hair Extension Services, short relaxed courses for non-hairdressers, refresher courses, awards, certificates and diplomas in hairdressing. If you are looking to train to be a hairdresser in Swindon, then our training courses can give you the qualifications and skills required to be successful in your chosen career. Our courses are suitable for both non-hairdressers and experienced stylists looking to improve their skills and qualifications. We also offer our own personal improvement packages which are designed around the needs of the learner to refresh existing skills. we conduct a course interview with each learner to enable us to plan the perfect training course for your development. Our hairdressing academy caters for class sizes of no more than ten which ensures optimum learning is achieved at all times. Just a few of the many comments our students have made while studying at The Marvell Hair Academy. Being one of the youngest students studying at Marvel Academy, wasn’t just a worry about the amount of learning support I would get, but it was also a worry about the one to one time I could have with the tutors. Throughout my current learning, Yvonne and Amy have been so kind and welcoming, in which they encourage myself through the course, especially when I begin to struggle on the work. They offer you one to one time, or just time when you can come in yourself and just get on with the work. They have help gained my confidence and never stop pushing me to the best of my ability. I am excited to what my future may hold with this amazing qualification. I am a current student studying NVQ level 2 hair dressing. When looking into hair dressing courses available in Swindon, It was Swindon college and Marvell Hair Academy which caught my attention. Being a mature student, it was essential to me that I made the right choice on a course, and where to train. Therefore I had an abundant of questions to ask. I made contact with both the college and Marvell, and it was Yvonne’s at Marvell Hair Academy fantastic communication that made me know that this was the place I wanted to do my training. All of my questions were answered promptly and in-depth. It was actually after a few email conversations with Yvonne, that I realised I wasn’t quite at the point in life where I could give the course my all and I decided to wait 1 year until my youngest was a year older and at nursery. One year on and here I am! For me, Marvell Hair Academy is everything I wanted and more. The other students attending the academy are of a whole range of ages meaning you will never feel too old/young or out of place. The class sizes are small and teachers are able to dedicate more time with you, which is a very different experience to a full compacity class at college, making the lessons more engaging. The Academy is flexible, and I can fit my learning around my family without compromise. It is clean and well equipped, but most importantly Amy and Yvonne are amazing teachers. The support, patience and dedication they show to their students is incredible. All of these things together really makes Marvell Hair Academy unique. I will highly recommend the Academy to anyone wanting to train in the hair industry and hope to further my education and skills within the academy in the future. I qualified as a hairdresser to NVQ Level 2 ten years ago and have be running my own salon for nine. I decided to gain my NVQ level 3 initially to give me confidence with colour correction and modern cutting techniques. I chose The Marvell Hair Academy because of the small group sizes and their connection to the industry. They were extremely accommodating with the times that they offered, so I could work around my existing commitments. After completing my NVQ3 I have since been back and gained my qualification in hair extensions and assessing vocational competence. I have also sent two of my staff members to Marvell for further training which they found to be encouraging and inspirational, re-energising there passion for hairdressing. I found all of the staff to be very knowledgeable and supportive throughout my training and I'm sure I will be back. I did my level 1 hairdressing at college when I was 16, Then I left and worked until I was 25. I went thought a break up and after that I decide to go back to what I missed and loved which was hairdressing. My dad came home and told me about the academy where I then rang Yvonne, went in and had a chat with her. I started my level 2 in the October, I was so excited to start, There was no worries because Yvonne and Amy is amazing! So helpful anything you needed they would help, Even with theory they would sit with you and make sure you fully understood everything. I struggled with my cutting I really thought I wasn't going to get through it, worried I sat and spoke to Yvonne and the week after we was doing one on one cutting, after that everything just clicked and then I loved cutting. I completed my level 2 and now I am in my level 3, I am finishing in 2 months and I have loved every minute of it! I have had so much fun, Yvonne and Amy have made it an absolute pleasure to work with, even though I wont be without them totally as I am renting a chair on a Saturday within the academy! The Marvell Hair Academy is the best choice I have ever made its worth every penny! The one on one and the extra help, and reassurance when needed just makes life so much easier especially when you work another job and things get stressful. I owe these ladies so much they have helped me start building the empire I have always dreamed of. In 2012, I decided to retrain as a hairdresser and Yvonne Marvell was one of the tutors on the two-year course at a Swindon college. I thought she was excellent then. When I qualified (level 2), I decided to pursue a level 3 qualification and this is where I met up with Yvonne again, now at The Marvell Hair Academy. Due to the success at The Marvell Hair Academy they have moved to their very own new bespoke premises in Swindon. I honestly can't say enough good things about this academy: it feels like it's bespoke training such is the excellent continued support. Amy (Denton), our tutor, is especially supportive. All students are treated as valuable assets to the industry and all of the tutors are genuinely interested in having all of their students succeed. I hope that very soon, The Marvell Hair Academy will become the UK's South West gateway for hairdresser training. They deserve all the success that their hard work will achieve. I have just completed a PIPs course (personal improvement course) with The Marvell Hair Academy in preparation for my level 3. Having completed my level 2 through an adult learning course at Swindon College, I didn't feel confident with the skills I had gained. Having one on one tuition with Yvonne and Amy through a taylor made package was absolutely brilliant and suited my needs accordingly. The tutors are extremely patient and knowledgeable and picked up on where I was going wrong straight away allowing me to progress quickly. The class sizes, facilities and salon are all wonderful and perfect for students of all ages and abilities. I'd reccommend the courses to everyone. Marvellous Marvell Academy allows you to gain the experience of working in a real salon environment, watching stylists hands on! It's flexible, fast paced with great opportunities to rent a chair and build up your own clientele. Would highly recommend! I qualified at Swindon college in my level 2 hairdressing and even though I really enjoyed college the classes were large so it was hard to get that one on one tuition, I then decided to apply to do a pips course at The Marvell Hair Academy and I found it enjoyable, it was one on one tuition with Yvonne, she had taken time with me to go through services that I struggled with, I could do the pips course within the hours of my full time job. Doing this pips course meant that I was getting more confident and I knew that I would definitely benefit from doing my level 3 at the academy. I started my level 3 in October 2015 and I am due to qualify October 2016 and I can honestly say it was the best decision I have ever made, I can see my confidence has grown and I enjoy every second of being there. My tutor Amy has really made me believe In myself that I can do it, she takes the time to go through questions or to show me demonstrations. Personally for me If I struggled with a few things either Amy or Yvonne would set some time as side to help me. Group sizes are small which means you can get the support that you need and the times and days of the course are perfect to work around my full time job. The opportunities you can get whilst doing this course are amazing you get to work within a salon environment and now I am now renting a chair on a Saturday through the academy which is an amazing opportunity for myself. Honestly if you are thinking of applying please do it here, these ladies have made me a confident hair stylist and most of all I feel really comfortable in this academy everyone helps each other out. I was worried that asking questions would be silly but that's far from it at the academy because asking questions is all part of the learning. I wouldn't be the confident, happy hair stylist without them! I would highly recommend! I started off completing my level 1 & 2 at swindon college and even though I enjoyed the course and loved everything I was learning I struggled with the large classes and the waiting around. Yvonne was my tutor in level 2 so when I found out that she would be teaching in a salon I jumped at the chance to join her for my level 3. Im so pleased with the descision, working with yvonne in a 5 star salon is amazing, my confidence has improved and being able to work with the amazingly friendly staff and pick up on their skills has helped me improve my own.